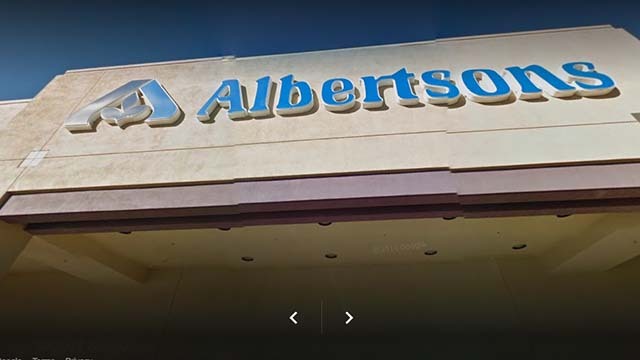 Albertsons appears to be spoiling for a trial over federal claims that its San Carlos store once had an employee policy of “Don’t speak Spanish” to customers. On Friday, lawyers for the grocery chain filed their response to allegations that managers harassed some Hispanic employees and fomented a hostile work environment. 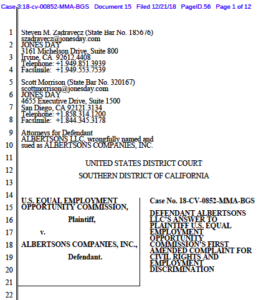 The document, filed in San Diego federal court, is Albertsons’ first reply to the Equal Employment Opportunity Commission suit dating back to May. It also may signal an end to settlement talks. 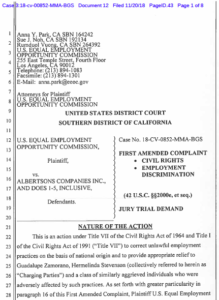 Albertsons’ response to EEOC lawsuit (PDF). In August, San Diego federal Judge Michael Anello granted the grocer and the EEOC a delay in the civil rights and employment discrimination case. But a week ahead of that deadline, both sides asked for a delay. So Anello gave the EEOC until Nov. 21 to update its lawsuit and Albertsons until Dec. 21 to respond to the so-called amended complaint. Now the chain, which employs about 280,000 people across 35 states, is denying the allegations and listing ways the lawsuit can’t even be brought in the first place. In a 12-page filing, which lists 24 defenses, Albertsons attorneys Steven M. Zadravecz and Scott Morrison deny that store director Richard Brown and other supervisors told employees Guadalupe Zamorano, Hermelinda Stevenson and other Hispanic staff that they could not speak Spanish anywhere on the premises regardless of whether they were on break. The edicts began in late 2012, the EEOC suit says, contending the Albertsons store on Lake Murray Boulevard near Navajo Road forbid employees from speaking Spanish around non-Spanish speakers, including when they spoke to Spanish-speaking customers and during breaks. “Brown and others verbally harassed Hispanic employees, telling them not to speak Spanish, threatening them with discipline, and publicly reprimanding them for allegedly speaking Spanish,” the original suit added. Brown no longer works for the company. Jerri Burleson, another manager cited in the suit, said she hadn’t been contacted about the latest developments. Neither the EEOC nor the Albertsons lawyers immediately responded to requests for comment. But even if the “no-Spanish” edict had been issued, Albertsons lawyers say, race, national origin, color and “allegedly protected conduct” were not substantial motivating factors for any of Albertsons’ conduct or decisions concerning their employment. Among other things, Albertsons also says the EEOC can’t recover damages because the statute of limitations has expired. The EEOC’s suit — which claims “intentional, malicious and reckless conduct” — also is barred because the alleged acts “were undertaken in the ordinary course of business for legitimate business purposes that were not discriminatory, retaliatory or harassing,” the grocer said. In addition, “Albertsons did not have knowledge of, ratify or approve any of the unlawful conduct alleged” by the EEOC. Albertsons exercised “reasonable care to prevent and correct promptly any harassing, discriminatory or otherwise unlawful behavior by having, among other policies, anti-harassment and anti-discrimination policies,” its lawyers said.